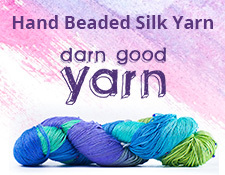 Check out Doodlebug Yarn online and use the coupon code below! There are many lovely things for knitters on their site, including yarn and needles. Take a look and see what they have to offer!